If you’d told me four years ago I would be publishing a collection of short fiction inspired by Muriel Spark’s time in Bulawayo between 1937 and 1943, I would never have believed you. At that point, Dame Spark’s best known work, The Prime of Miss Jean Brodie,was one of only a few of her works I’d read and had the pleasure of teaching at the University of Aberdeen. 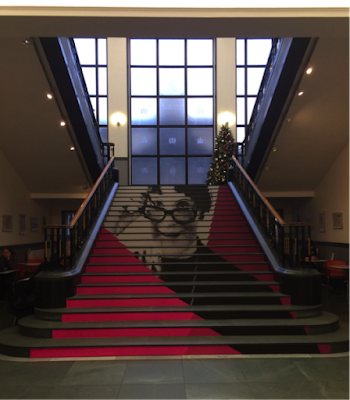 In 2018, the centenary of her birth, the National Library of Scotland and Creative Scotland have set about raising greater awareness of her international literary career, during which she published twenty-two novels, multiple short stories and a play. In the call out for writers and artists to create new work inspired by the archives at the NLS, it was then I discovered that Spark had lived and worked in Bulawayo and that I’d followed in her footsteps while working on an arts-in-health project in Lady Rodwell Maternity Hospital where she’d given birth to her son eighty years before. In the year that followed my second visit, ideas for stories inspired by my time in Bulawayo kept drifting in and out of my mind. I knew there was something I wanted to write, but I hadn’t quite grasped how I would shape it, and I had various other quandaries around what I could legitimately write as someone from the outside who could never really know or understand the day-to-day Zimbabwean experience. 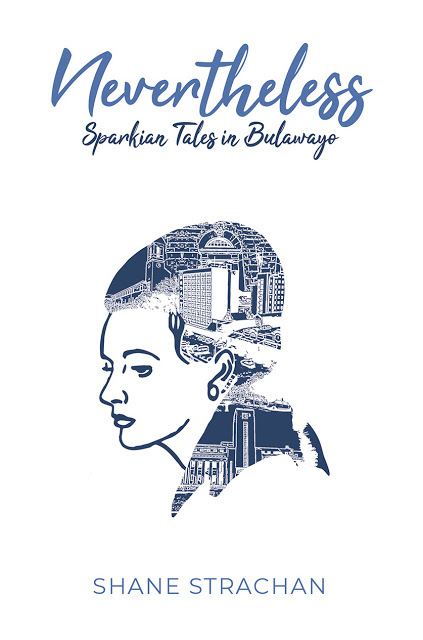 So when I read about the Muriel Spark 100 project and then discovered of Spark’s connection with Bulawayo and the various short stories and autobiographical material she wrote connected with her time in Southern Rhodesia, a path towards writing about Bulawayo became clear. I was delighted to subsequently be awarded an Endless Different Ways grant to work on the project. Muriel Spark’s archive at the National Library of Scotland is vast with boxes full of notes, correspondence and, from the late 1950s, receipts and cheque books. She hoarded all of this to record the truth of her whereabouts having suffered from the press printing misinformation about her – this habit alone made writing about Spark a rather daunting prospect! But there is comparatively less material available for the years she spent in Southern Rhodesia given that she was only nineteen when she arrived there and that the years that followed were some of her most traumatic due to a fraught marriage. Add to this the Second World War which effectively trapped her in Southern Rhodesia and it becomes clear that this was not the happiest of times for Spark. Yet it is where she herself said she found much spiritual strength and where the roots of her literary career proper can be found in the prizes she won at the Rhodesian Eisteddfod for both prose and poetry. Alongside studying her African-set short stories, her autobiography and reading many more of her novels, I spent several days in the archive, decoding her handwriting and making sense of snippets of information on post its, letters and notebooks, in an attempt to piece together a clearer picture of her experience in Southern Rhodesia during these years. In the final work, Nevertheless: Sparkian Tales in Bulawayo, this story forms the basis of four fictional vignettes, interspersed with a modern-day story of a medical doctor from Aberdeen visiting Lady Rodwell Maternity Hospital and unknowingly tracing Spark’s steps; it wouldn’t be apt to write a linear narrative given that Spark played so brilliantly with shifts in time and perspective throughout most of her novels and stories. As well as these fictions, there are also a series of Spark-inspired illustrations by Scottish artist Donald Urquhart which add another dimension to the book, and which I’m grateful to be able to include given that visual art has been a big part of my own Bulawayo journey. Nevertheless is available in print and e-book from African Books Collective and onAmazon. All profit raised from the publication will be donated to Lady Rodwell Maternity Hospital.